If you see the Not Connected label next to your article then it means there is not a valid Zendesk HC ID for your article in ScreenSteps. This can happen if you move an article into your Zendesk site from another site. 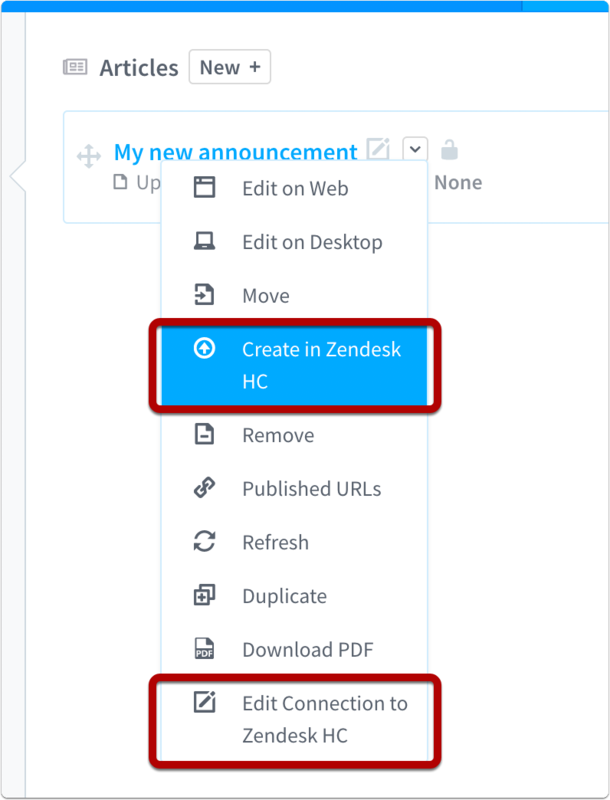 To fix this error you can choose either the Create in Zendesk HC or Edit Connection to Zendesk HC options in the article menu. If you Edit Connection to Zendesk HC you will need to enter the id of an existing article in Zendesk.